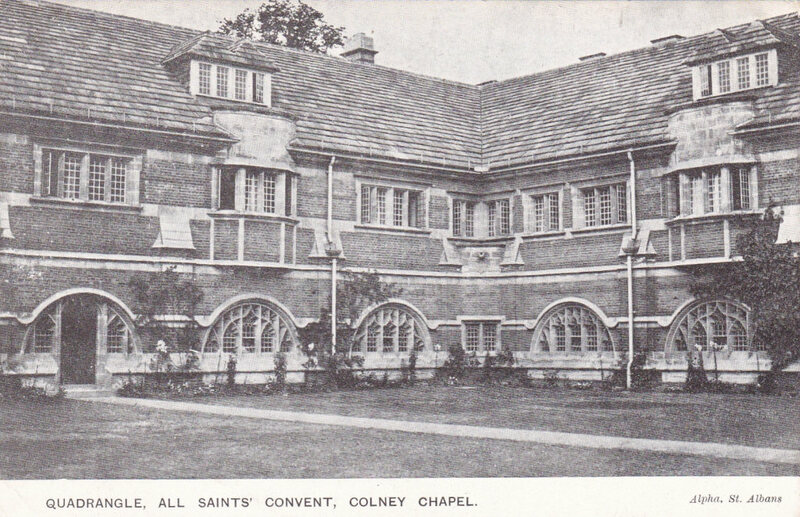 The career of Arthur Melbourne-Cooper (1874-1961), the film pioneer and the son of the photographer Thomas Cooper, is well documented online elsewhere (Wikipedia, An Animated Dispute, Obituary in The Times 7 Dec. 1961, etc.). 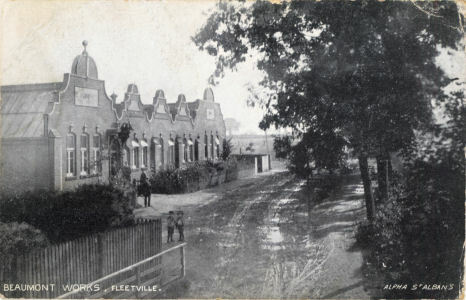 In 1901 his father died and Thomas's old photographic studio at Osbourne Terrace was closed down. 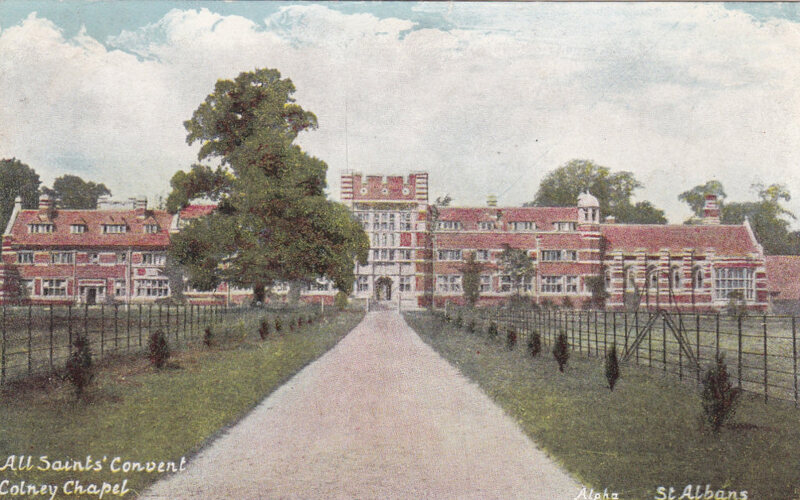 He set up the Alpha Trading Company and established the Alpha Cinematograph Works at Bedford Park, Beaconsfield Road, St Albans. 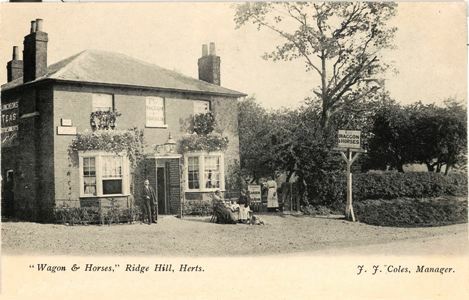 In 1908 he opened the pioneering Alpha Picture Place in St Albans, followed the following year by the Letchworth Picture Palace. Two fires at the Letchworth cinema put him in financial difficulties and he moved elsewhere to continue his filmmaking career. 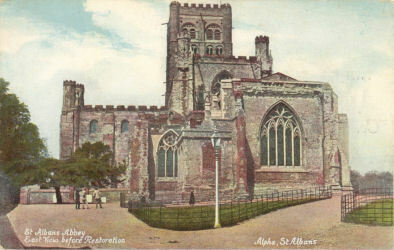 Rather than repeat his film making story this page will concentrate on the post cards produced by the Alpha Trading Company in St Albans in about 1903-1905. 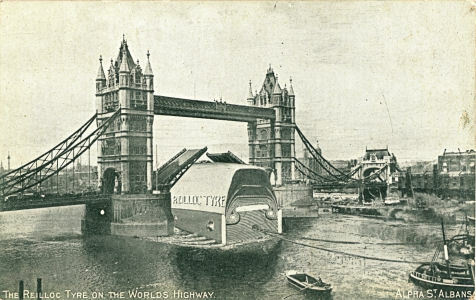 These appear to have been produced in two groups. 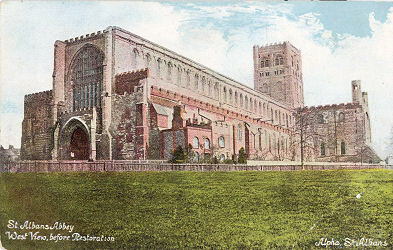 The first were a series of printed view cards which chose scenes in and around St Albans and they are often of less popular subjects which were not covered by the majority of post card publishers in the area. 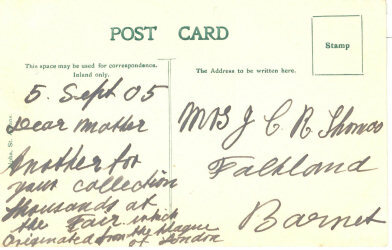 They all have the same simple back and the earliest I have seen was posted in November 1904. 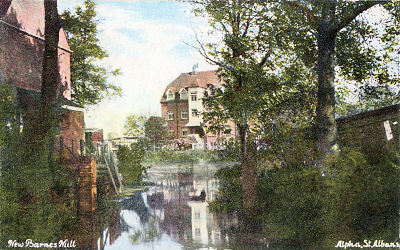 Nicholson's Raincoat Co. Ltd., rainproof specialists, Beaumont Works, Hatfield Road, St Albans. These cards were followed by an unusual series of coloured views, three of which, and possibly all, were photographs taken 15 to 20 years earlier. 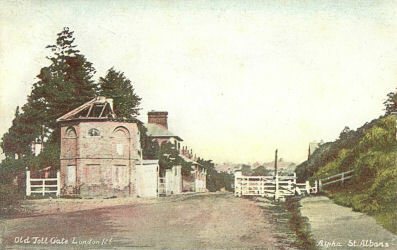 Two show the Abbey before the restoration and one shows the old toll gate on London Road which was removed in 1890. 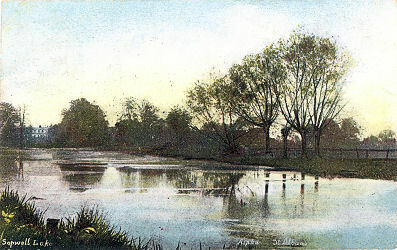 The pictures may have been taken by Arthur's father, Thomas Cooper. 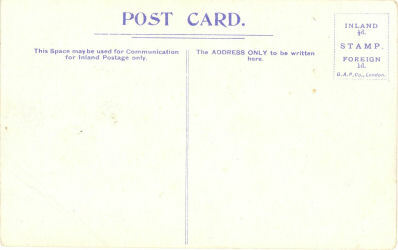 The stamp box identifies the printer as "G. A. P. Co., London"
All these coloured cards have the same back. 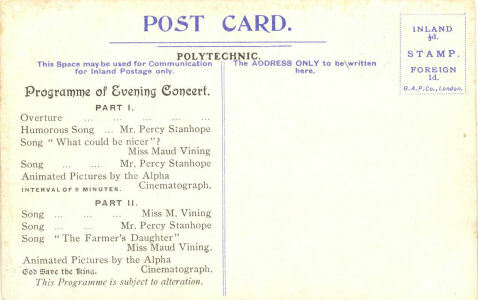 A couple of years later a number of post cards (of both series) were printed with an advert for a Concert & Exhibition of "Animated Photographs" at the Concert Hall, London Road, St Albans on Thursday, 19th December, 1907. 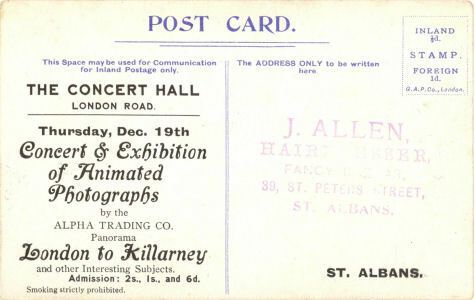 The show included "London to Killarney" and other interesting subjects. The "Animated Photographs" may well have been his 1907 film "A Dream of Toyland".